There are a number of options for laser hair removal. But how can a person know they’re getting treated with the most effective medical devices? The medical practitioners at Revive Wellness Centers have been performing medical laser hair removal treatments since 2003. They use the same laser wavelengths now as they did at the beginning because they’re the most effective lasers to safely remove unwanted hair on any skin type. What has changed is the speed of the lasers. Fast lasers means quicker treatments. When you get permanent hair removal from the team at Revive Wellness Center you can free of hair with just a few sessions. Contact them at their offices in Torrance and Palm Springs, California, or schedule an appointment online to get started with your laser hair removal. Effective lasers targets hair follicles. The follicles absorb the laser energy and destroys the follicle’s growth mechanisms so they don’t continue to grow hair. Laser hair removal also has many additional benefits. During treatments patients often experience lighter skin darkened by hair growth. Treated skin also gets baby soft. And, not having to wax or shave unwanted hair is a life long benefit of laser hair removal treatments. Why do you need more than one laser treatment? Have you ever wondered how you can lose so many hairs in your hairbrush yet never go bald? The answer to that question explains why you need multiple treatments. Each hair follicle goes through growth cycles. All hair grows at about the same rate and different hair has different cycles. For women eyelash and eyebrow hair growth cycles last about 90 days. Body hair cycles can range from 2 to 4 months. Scalp hair can actively grow hair for 3-7 years before the growth cycle stops and begins growing a new hair follicle. After the growth phase active follicles enter a short transitional stage before going into the third resting stage. The follicle goes dormant, and the existing hair falls out. After a few weeks, the follicle begins another growth phase and grows a new hair. Lasers can only destroy a hair follicle when it’s in the growth phase. 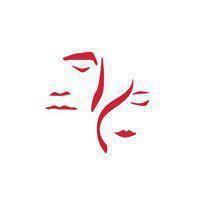 Each follicle has its own timing: Some are dormant while others are growing. One laser session won’t treat the dormant hairs, so you’ll need to get a few more treatments at 6-8 week intervals until all of the hair follicles are destroyed. What should you expect during laser hair removal? The amount of time needed for your laser hair removal session depends on the area of the body being treated. If you’re only having hair removed from your upper lip, it won’t take long (compared to your back, which could take a half an hour). Most people easily tolerate their laser treatment. The team at Revive Wellness Center has different methods to manage the discomfort including cold air during the appointment. Afterwards, your skin may be slightly pink similar to a mild sunburn. Those post laser reactions should resolve in a few hours with no downtime. Can you get other cosmetic treatments at the same time as laser hair removal? 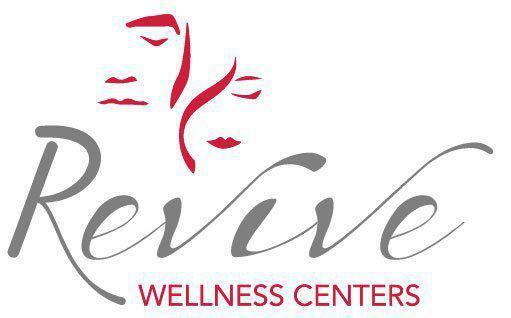 The team at Revive Wellness Center offers many different cosmetic treatments that can be done during the same appointment as your laser hair removal. They offer injectable dermal fillers and Botox that eliminate lines and wrinkles on your face, and body contouring that permanently eliminates fat in trouble spots like your abdomen, love handles, and thighs. When you decide it’s time to put down your razor for good, contact Revive Wellness Center, or schedule an appointment online, so that you can enjoy having less unwanted hair and accomplish more towards your appearance goals.